Click HERE to reserve your free ticket. BEAT (Building Equality in Architecture, Toronto chapter) exists to initiate change, building momentum to create a shift in the profession. Not only for architects on an individual level, but as an instigator to raise the voice of the profession at large, integrating it into conversations about how our built environment can be shaped to be more beautiful, functional, and enhance the human experience. As a group dedicated to enabling great architects to do great work, we understand that each of us must contribute to our fullest. Design excellence, diversity and equity are therefore not mutually exclusive. 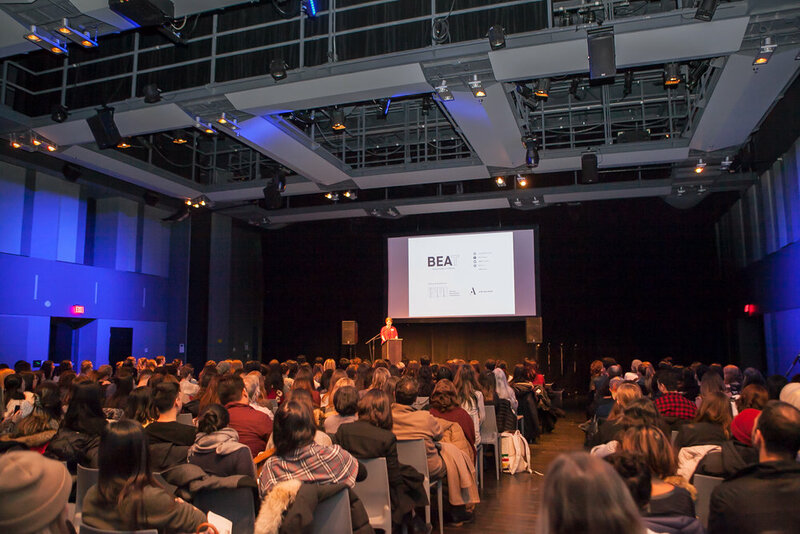 This year we celebrate the 5th anniversary of the annual BEAT Seminar, an event dedicated to exposing students and young practitioners to leaders in the architectural profession. From sole practitioners to partners in Toronto's leading design firms, the seminar speakers are architects and academics who have established successful careers. The talks and tours that follow will showcase the breadth of the profession and speak to the numerous ways to navigate a career in the built environment. While the event is geared to women, all are welcome to attend. It is critical to have inclusive discussions surrounding issues of pay equity, gender bias, and the pressures of balancing work with a family life. OAA points will be issued for the lecture portion of the event. Sonia Ramundi Senior Associate, Williamson Williamson Inc.
Dimitra Papantonis BEAT Executive Member, Senior Associate, Williamson Williamson Inc.
Betsy Williamson BEAT Advisory Member, Principal, Williamson Williamson Inc.
* Tours and break out sessions are led by seminar speakers. Sign up is on a first-come, first-served basis on the day of the seminar. This event has been generously sponsored by the Ontario Association of Architects.